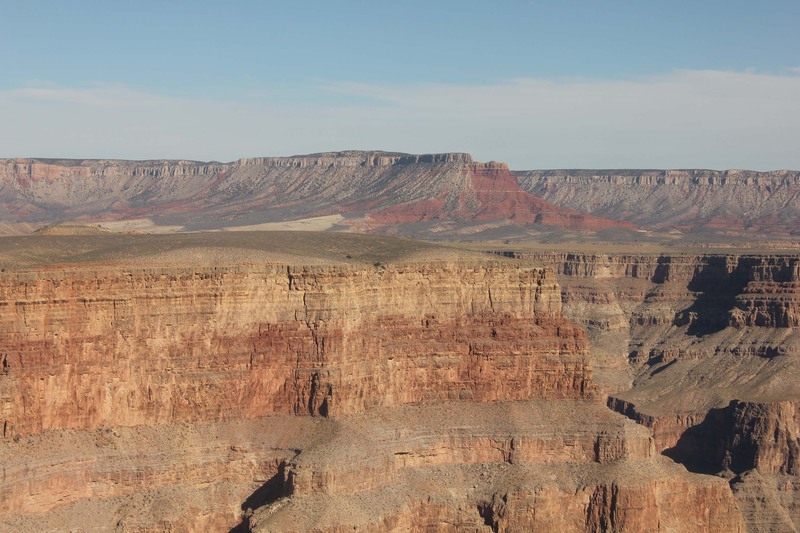 We flew with the other eagles and the clouds, over the Grand Canyon, to discover a barren rock landscape, dotted with green along the valley floors, and dusty sage on the plateaus. Enormous rock pillars rose to meet the sky as we hovered over the six-million-year-old landmark. But the best feature of our experience was the incredible vantage points offered by the Papillion helicopter ride. 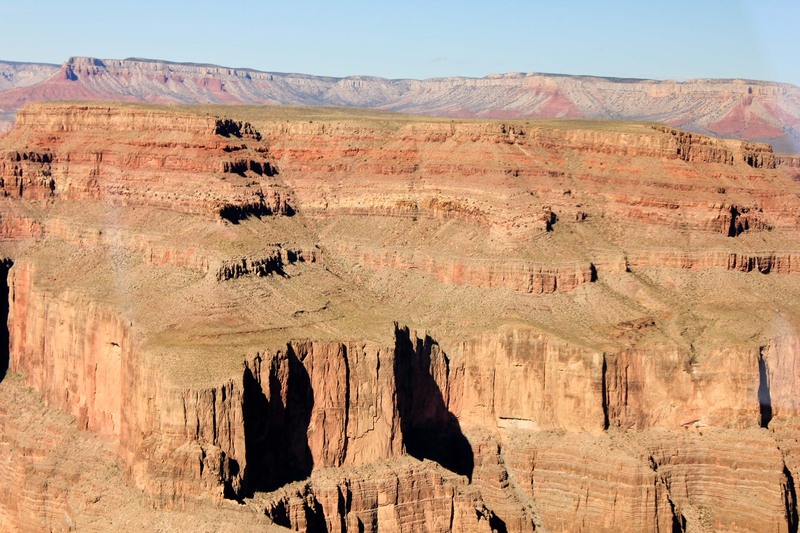 Starting more than six million years ago, the Colorado River, and its sister streams, began flowing through the Colorado Plateau, through what is now northern Arizona. Bits of sediment and rock were carried downstream, gradually deepening the canyon. 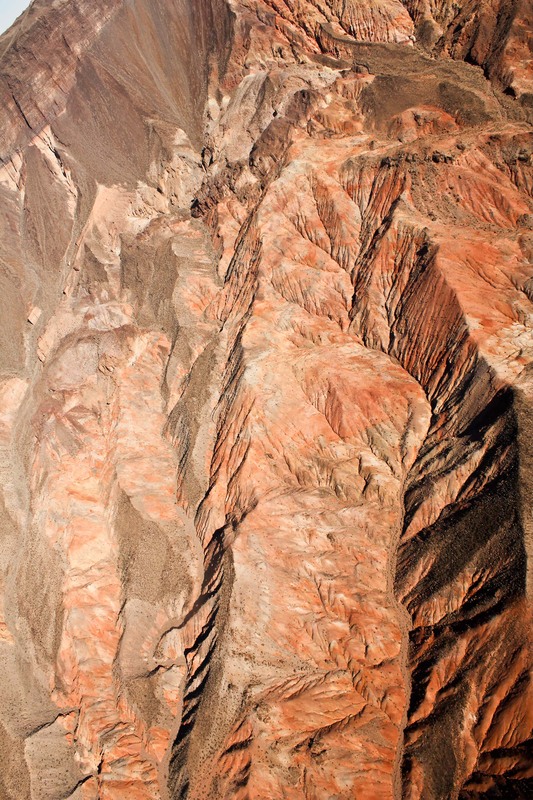 As the water table lowered, the result of sediment deposits over eons, was revealed in colorful striations of the canyon walls. From above, these walls resemble a layer cake of rusts and creams. 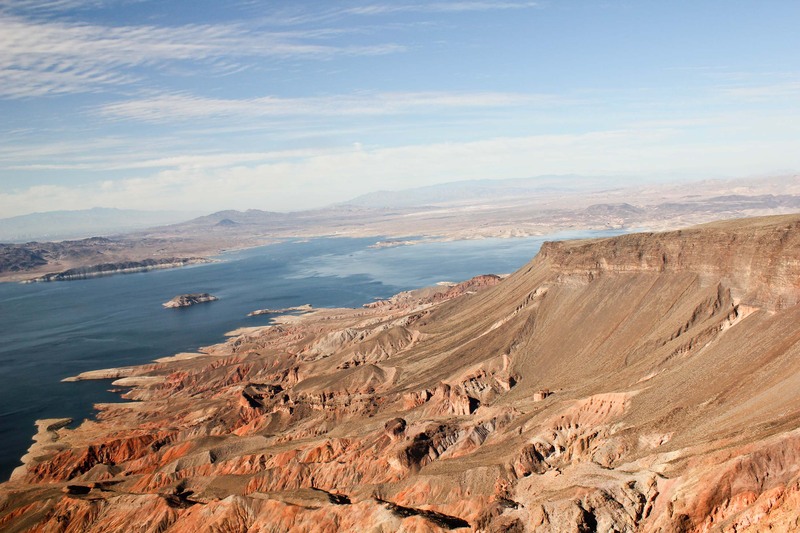 Our Grand Canyon adventure began with shuttle service from The Venetian to the Papillon Helicopter terminal at the Boulder City Municipal Airport. 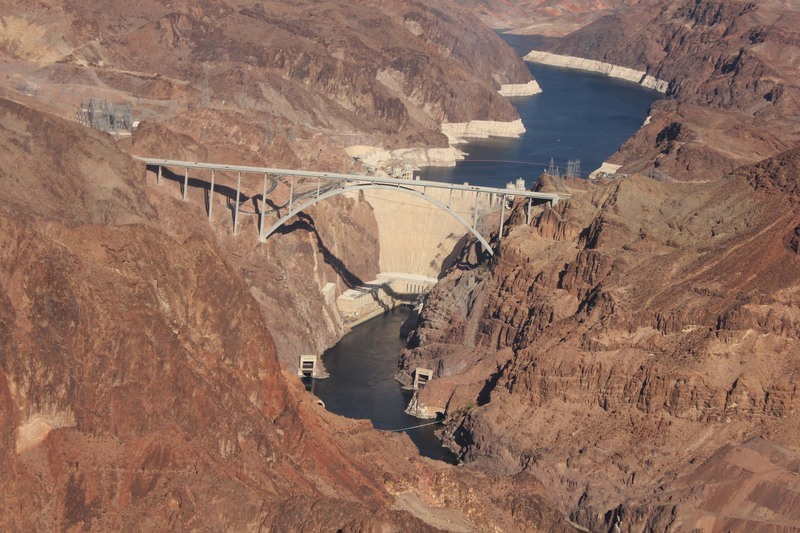 After boarding Papillon’s 6-passenger Bell Jet helicopter, we soared above the vast expanse of the Mojave Desert en route to the structure that shaped the history of the American West: Hoover Dam. 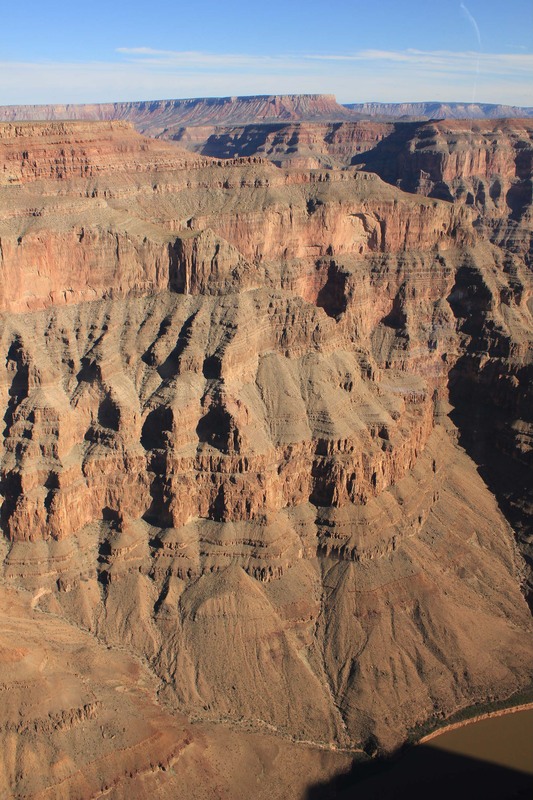 As we glided over the sparkling blue waters of one of the world’s largest man-made lakes, the channel narrowed and the Grand Wash Cliffs rose before us – the Grand Canyon was up ahead! 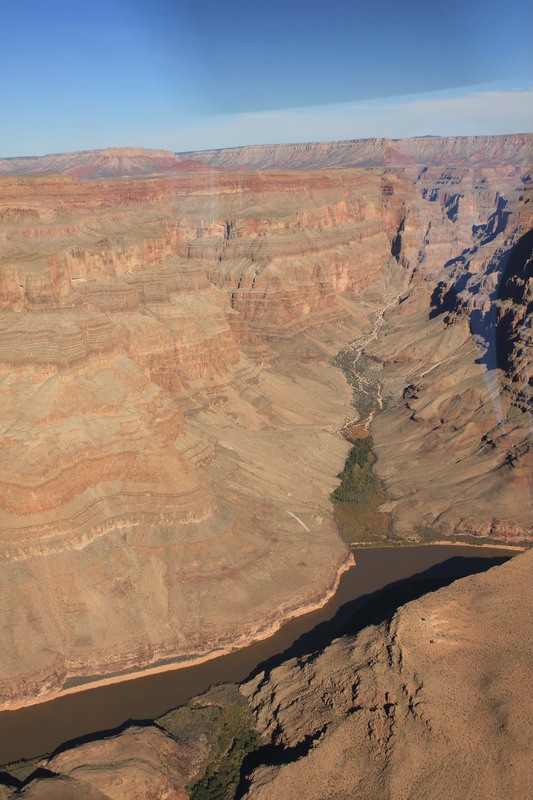 Cut by the Colorado River, the depths of the Grand Canyon exceed 4,500 feet at this part of the gorge, and photo opportunities were in abundance through our helicopter’s over-sized windows. 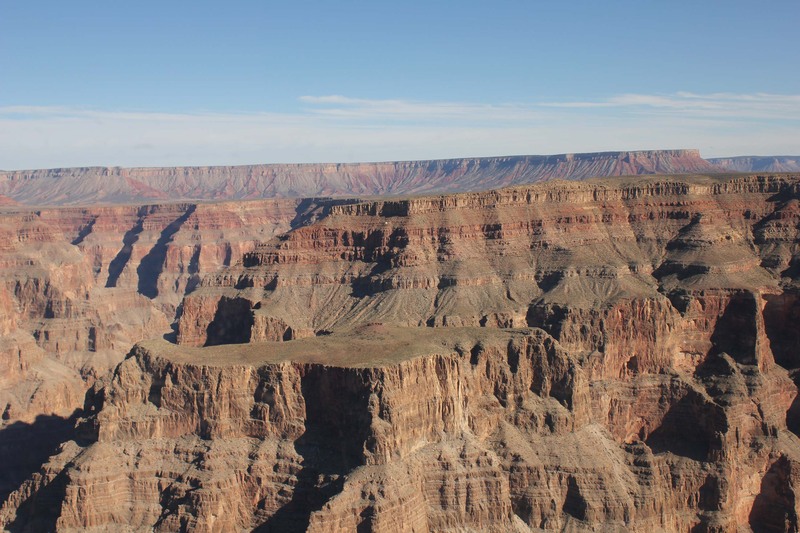 We were blessed with a comfortable, up-close-and-personal experience with the Grand Canyon’s massive rock formations surrounding our entire viewpoint. 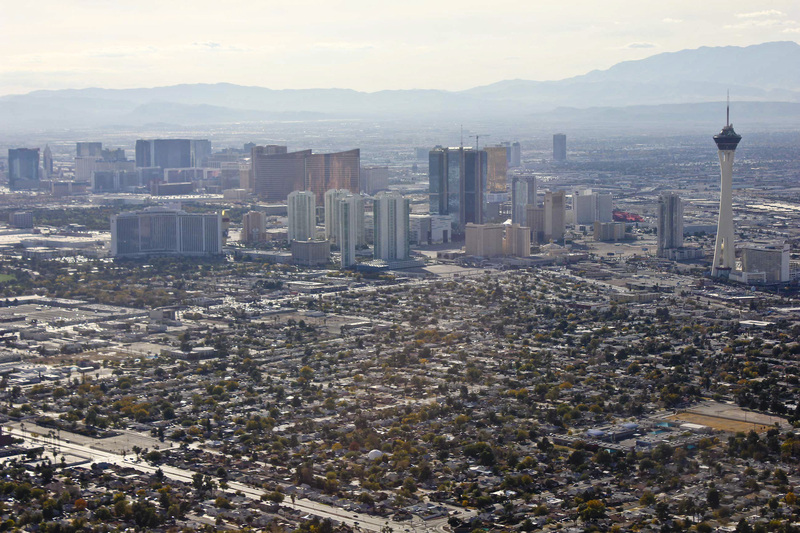 Our return flight was complete with a bird’s eye view of The Vegas Strip. Watching the Stratosphere Hotel, and the Stratosphere SkyJump, appear long before the other resorts were even in sight made me gasp at the thought of jumping from the 108th floor during our previous trip. It was a giant among elves. 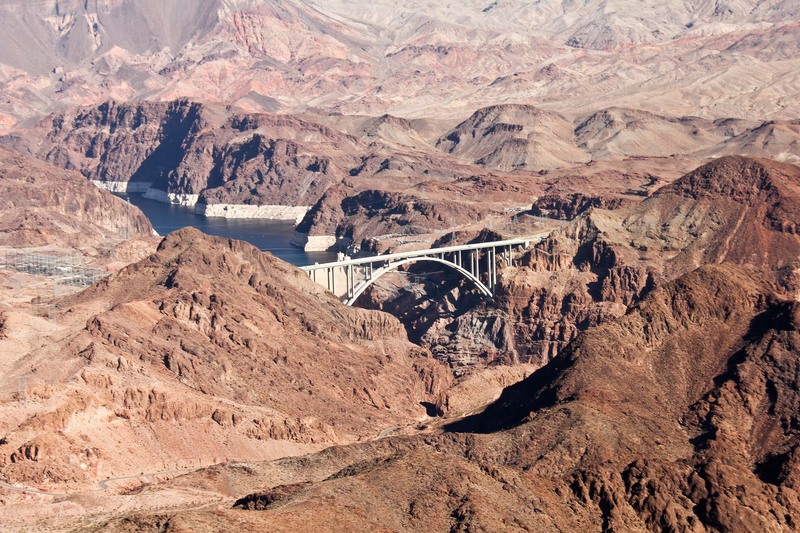 Like the Grand Canyon, it was overpowering everything in its path. We landed at the Papillion private heliport in the heart of Las Vegas and were escorted back to the hotel. The ride was quiet as we both reflected on the amazing sights in which we had just experienced. 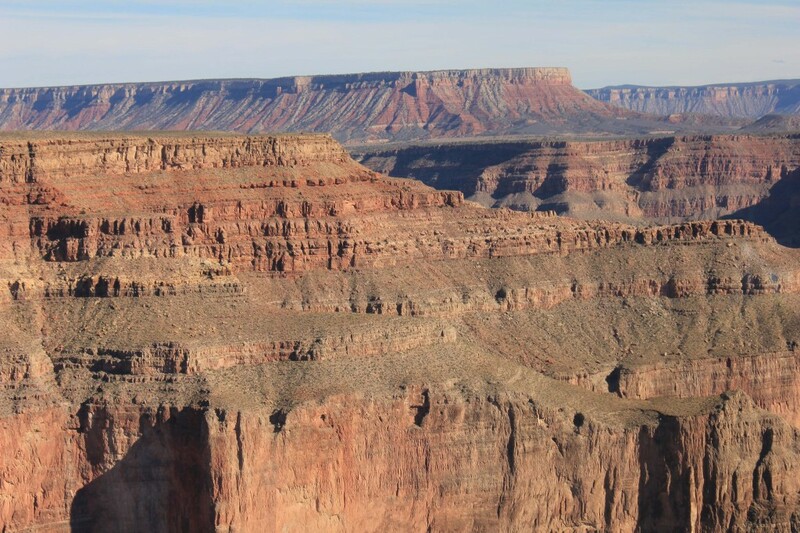 Many people consider the Grand Canyon to be one of the seven wonders of the natural world. “The helicopter is evidence of how man’s imagination can be given physical form.” ~Wheeler, Howard A.